as well as some of her dynamic cities. 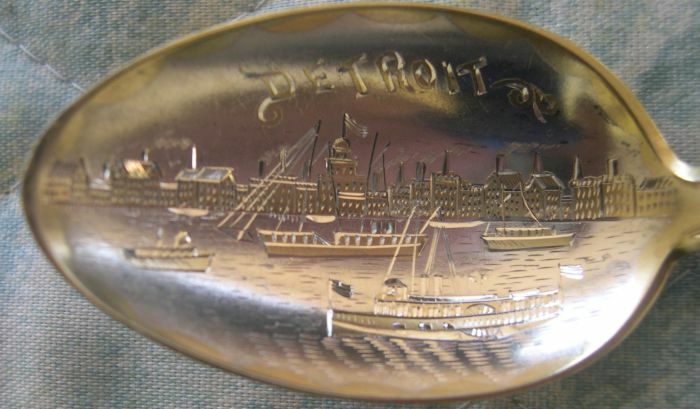 Times have certainly changed with the recent bankruptcy of Detroit. But I put it in this exhibit anyway because of its location on Lake Michigan. The Hoosier Slide sand dune was Indiana's most famous natural Landmark. Commercial sand mining for the glass industry pretty much obliterated the sand dune by 1920. 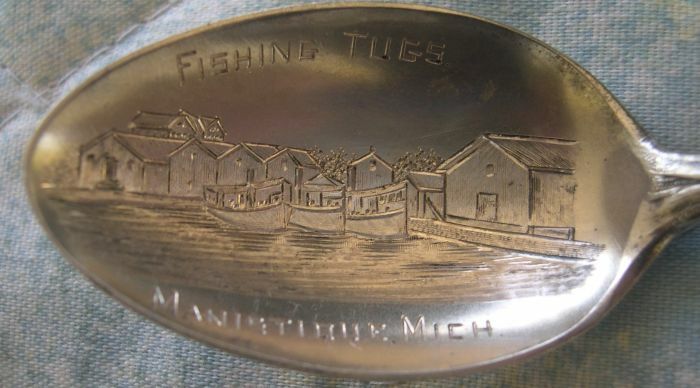 Located at the mouth of the Manistique river where it flows into Lake Michigan, even this small town in the upper peninsula of Michigan was worthy of a beautiful souvenir spoon. Much of the local economy depends on tourism. 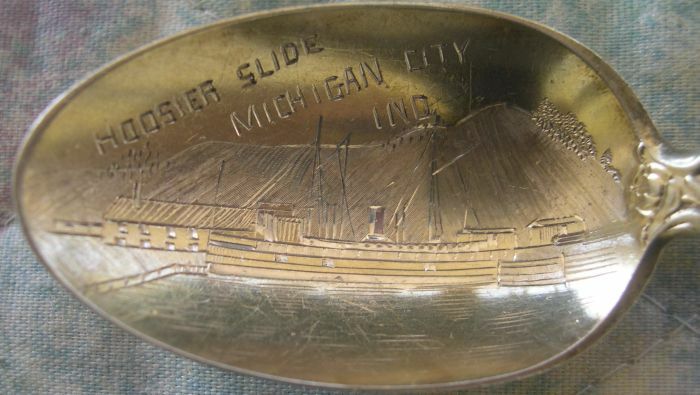 South Haven has been a resort town since the 1890's and was often referred to as the "Catskills of the Midwest". 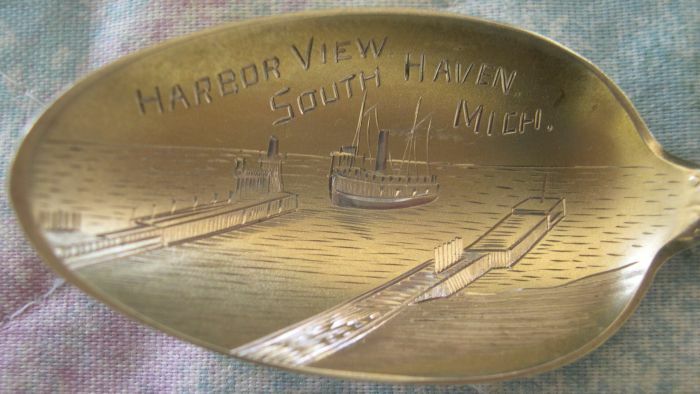 Its location at the mouth of the Black River where it empties into Lake Michigan, made South Haven a popular port for both passengers and freight. 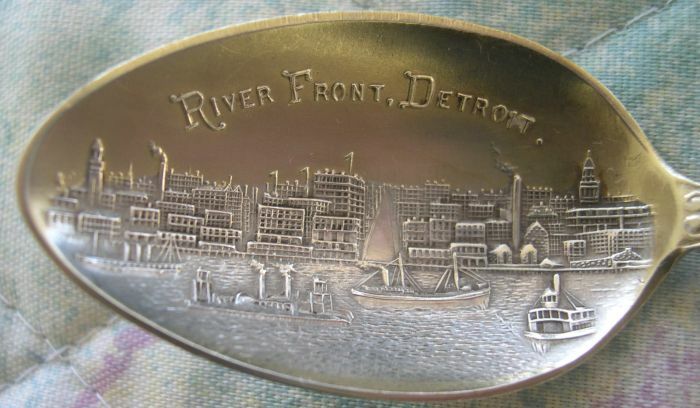 Return to ships spoon index.